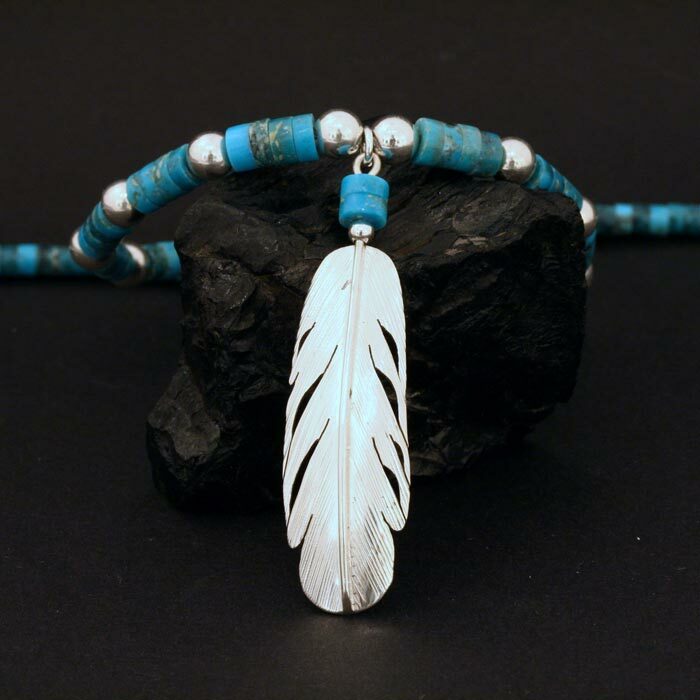 This beautiful feather necklace is made from hand cut, drilled and polished beads of vibrant Arizona turquoise, sterling silver beads and a large handmade silver feather. This necklace is entirely handcrafted by Harvey and Janie Chavez of the Kewa Pueblo tribe. 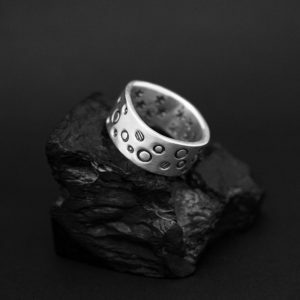 The necklace is finished with sterling cones and chain for adjustable length – maximum 48cm. The feather pendant measures 5cm including the beads above. 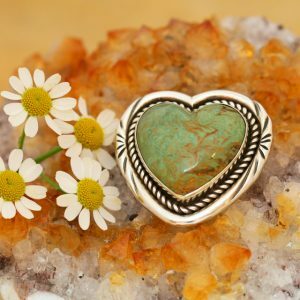 This beautiful feather necklace is made from hand cut, drilled and polished beads of vibrant Arizona turquoise alternated with sterling silver beads and a large handmade silver feather. 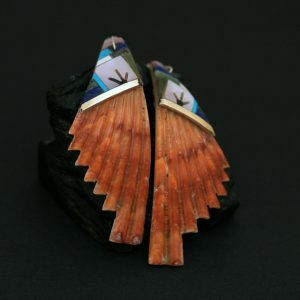 This necklace is entirely handcrafted by Harvey and Janie Chavez of the Kewa Pueblo tribe in Northern New Mexico, USA. 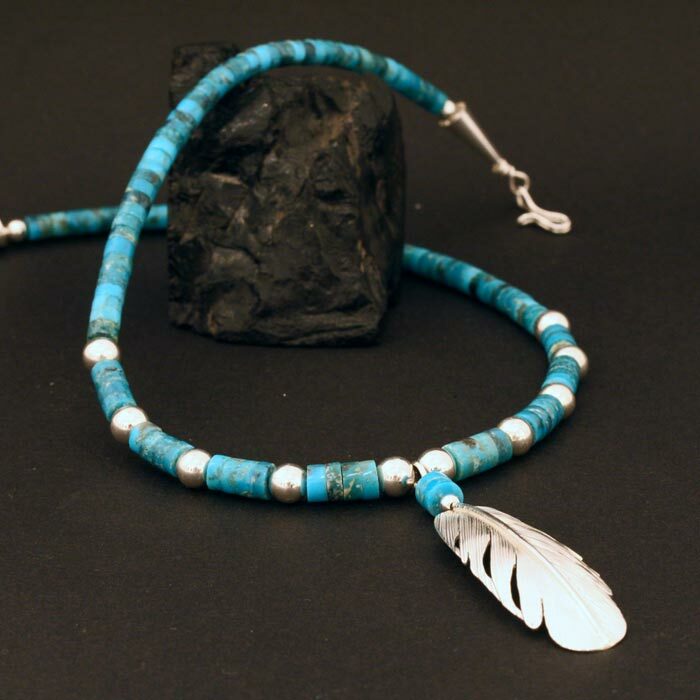 The necklace tapers gently with the polished turquoise beads becoming smaller towards the ends. The necklace is finished with sterling silver beads, cones and chain for adjustable length – maximum 48cm. The feather pendant measures 5cm including the beads above.